more info following in coming days. Further discussion, descriptions, guides will follow only on corresponding github project page. I may or may not reply in this thread. As replacement of a discussion board where you would like to discuss with me about this project, it will be on slack channel. Please follow github for more info, github will be updated in next few days. I will describe here only three ways, you can cat over ssh too, thats my preffered way but this guide is for newbies. serverlisteu="aus bg bul czech den fin fr frank.gr gr gre hg ice ire iom it lv lux md nl no pl por ro sp swe swiss ukr lon.uk uk"
serverlistasia="hk in ind isr jp my mo.ru ru saudi singp sk thai turk vn"
serverlistnamerica="ca vanc.ca.west cr mx pa atl.east.usa chi.central.usa dal.central.usa la.west.usa lv.west.usa fl.east.usa nj.east.usa ny.east.usa sa.west.usa"
create_ovpnowrtcfgudp "TorGuard" "EU" "AES-256-CBC" "SHA512" "389" "$serverlisteu"
create_ovpnowrtcfgudp "TorGuard" "ASIA" "AES-256-CBC" "SHA512" "389" "$serverlistasia"
create_ovpnowrtcfgudp "TorGuard" "NAMERICA" "AES-256-CBC" "SHA512" "389" "$serverlistnamerica"
create_ovpnowrtcfgudp "TorGuard" "SAMERICA" "AES-256-CBC" "SHA512" "389" "$serverlistsamerica"
create_ovpnowrtcfgudp "TorGuard" "AFRICA" "AES-256-CBC" "SHA512" "389" "$serverlistafrica"
create_ovpnowrtcfgudp "TorGuard" "AUSTRALIA" "AES-256-CBC" "SHA512" "389" "$serverlistaustralia"
create_ovpnowrtcfgudp "TorGuard" "EU" "AES-256-CBC" "SHA256" "1195" "$serverlisteu"
create_ovpnowrtcfgudp "TorGuard" "ASIA" "AES-256-CBC" "SHA256" "1195" "$serverlistasia"
create_ovpnowrtcfgudp "TorGuard" "NAMERICA" "AES-256-CBC" "SHA256" "1195" "$serverlistnamerica"
create_ovpnowrtcfgudp "TorGuard" "SAMERICA" "AES-256-CBC" "SHA256" "1195" "$serverlistsamerica"
create_ovpnowrtcfgudp "TorGuard" "AFRICA" "AES-256-CBC" "SHA256" "1195" "$serverlistafrica"
create_ovpnowrtcfgudp "TorGuard" "AUSTRALIA" "AES-256-CBC" "SHA256" "1195" "$serverlistaustralia"
create_ovpnowrtcfgudp "TorGuard" "EU" "AES-256-CBC" "SHA1" "995" "$serverlisteu"
create_ovpnowrtcfgudp "TorGuard" "ASIA" "AES-256-CBC" "SHA1" "995" "$serverlistasia"
create_ovpnowrtcfgudp "TorGuard" "NAMERICA" "AES-256-CBC" "SHA1" "995" "$serverlistnamerica"
create_ovpnowrtcfgudp "TorGuard" "SAMERICA" "AES-256-CBC" "SHA1" "995" "$serverlistsamerica"
create_ovpnowrtcfgudp "TorGuard" "AFRICA" "AES-256-CBC" "SHA1" "995" "$serverlistafrica"
create_ovpnowrtcfgudp "TorGuard" "AUSTRALIA" "AES-256-CBC" "SHA1" "995" "$serverlistaustralia"
create_ovpnowrtcfgudp "TorGuard" "EU" "AES-128-CBC" "SHA512" "1215" "$serverlisteu"
create_ovpnowrtcfgudp "TorGuard" "ASIA" "AES-128-CBC" "SHA512" "1215" "$serverlistasia"
create_ovpnowrtcfgudp "TorGuard" "NAMERICA" "AES-128-CBC" "SHA512" "1215" "$serverlistnamerica"
create_ovpnowrtcfgudp "TorGuard" "SAMERICA" "AES-128-CBC" "SHA512" "1215" "$serverlistsamerica"
create_ovpnowrtcfgudp "TorGuard" "AFRICA" "AES-128-CBC" "SHA512" "1215" "$serverlistafrica"
create_ovpnowrtcfgudp "TorGuard" "AUSTRALIA" "AES-128-CBC" "SHA512" "1215" "$serverlistaustralia"
create_ovpnowrtcfgudp "TorGuard" "EU" "AES-128-CBC" "SHA256" "1912" "$serverlisteu"
create_ovpnowrtcfgudp "TorGuard" "ASIA" "AES-128-CBC" "SHA256" "1912" "$serverlistasia"
create_ovpnowrtcfgudp "TorGuard" "NAMERICA" "AES-128-CBC" "SHA256" "1912" "$serverlistnamerica"
create_ovpnowrtcfgudp "TorGuard" "SAMERICA" "AES-128-CBC" "SHA256" "1912" "$serverlistsamerica"
create_ovpnowrtcfgudp "TorGuard" "AFRICA" "AES-128-CBC" "SHA256" "1912" "$serverlistafrica"
create_ovpnowrtcfgudp "TorGuard" "AUSTRALIA" "AES-128-CBC" "SHA256" "1912" "$serverlistaustralia"
create_ovpnowrtcfgudp "TorGuard" "EU" "AES-128-CBC" "SHA1" "80" "$serverlisteu"
create_ovpnowrtcfgudp "TorGuard" "ASIA" "AES-128-CBC" "SHA1" "80" "$serverlistasia"
create_ovpnowrtcfgudp "TorGuard" "NAMERICA" "AES-128-CBC" "SHA1" "80" "$serverlistnamerica"
create_ovpnowrtcfgudp "TorGuard" "SAMERICA" "AES-128-CBC" "SHA1" "80" "$serverlistsamerica"
create_ovpnowrtcfgudp "TorGuard" "AFRICA" "AES-128-CBC" "SHA1" "80" "$serverlistafrica"
create_ovpnowrtcfgudp "TorGuard" "AUSTRALIA" "AES-128-CBC" "SHA1" "80" "$serverlistaustralia"
create_ovpnowrtcfgudp "TorGuard" "EU" "BF-CBC" "SHA1" "443" "$serverlisteu"
create_ovpnowrtcfgudp "TorGuard" "ASIA" "BF-CBC" "SHA1" "443" "$serverlistasia"
create_ovpnowrtcfgudp "TorGuard" "NAMERICA" "BF-CBC" "SHA1" "443" "$serverlistnamerica"
create_ovpnowrtcfgudp "TorGuard" "SAMERICA" "BF-CBC" "SHA1" "443" "$serverlistsamerica"
create_ovpnowrtcfgudp "TorGuard" "AFRICA" "BF-CBC" "SHA1" "443" "$serverlistafrica"
create_ovpnowrtcfgudp "TorGuard" "AUSTRALIA" "BF-CBC" "SHA1" "443" "$serverlistaustralia"
create_ovpnowrtcfgudp "TorGuard" "EU" "none" "none" "80" "$serverlisteu"
create_ovpnowrtcfgudp "TorGuard" "ASIA" "none" "none" "80" "$serverlistasia"
create_ovpnowrtcfgudp "TorGuard" "NAMERICA" "none" "none" "80" "$serverlistnamerica"
create_ovpnowrtcfgudp "TorGuard" "SAMERICA" "none" "none" "80" "$serverlistsamerica"
create_ovpnowrtcfgudp "TorGuard" "AFRICA" "none" "none" "80" "$serverlistafrica"
create_ovpnowrtcfgudp "TorGuard" "AUSTRALIA" "none" "none" "80" "$serverlistaustralia"
Be aware that that whether a cipher suite in this list can actually work depends on the specific setup of both peers. See the man page entries of --tls-cipher and --show-tls for more details. # Show all cipher algorithms to use with the --cipher option. # Show all message digest algorithms to use with the --auth option. #Show all TLS ciphers supported by the crypto library. 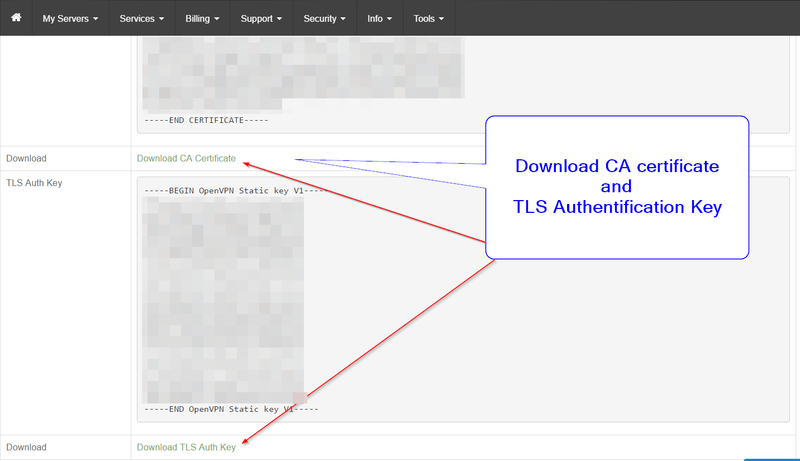 OpenVPN uses TLS to secure the control channel, over which the keys that are used to protect the actual VPN traffic are exchanged. The TLS ciphers will be sorted from highest preference (most secure) to lowest. # Be aware that whether a cipher suite in this list can actually work depends on the specific setup of both peers (e.g. both peers must support the cipher, and an ECDSA cipher suite will not work if you are using an RSA certificate, etc.). # (Standalone) Show currently available hardware-based crypto acceleration engines supported by the OpenSSL library. Most People have troubles in configuring their routes and some may easily get lost. This can cause a lot of damage, if your network is not simple and transparent, then you can missconfigure it in many ways. I was thinking a lot about "How should this app work, how should it preconfigure as there are many ways to accomplish it?". I came to conclusion that dealing with VLAN's is the easiest way, especially because it can be done over GUI (Luci). I will not go now into details, but here are most important points to know about your webinterface and it's settings. What are CPU ports and how to set them? Archer C7 has GB WAN Port and can handle easily 5 WAN Connections. This is a screenshot of how to do it in your webinterface. Now you only need to setup different VPN connections to use separate WAN's and create wireless interfaces which are bridged to LANX and provide separate wireless network for a separate LAN. Basicly you only need to setup correct loopbackdevice and that's it. Then you can easily setup which clients or subnets or even websites (like netflix) should go to which client. More info on how to Setup multvpn/multilan/multiwlan on one device will come in following days. Thanks for posting - the script seem to work quite well i hear. Double checked all. Maybe you know what the issue and how to fix? Or TorGuard support, maybe you?Thanks! Can you send us the config your using please ? as first wow, I did not expect at beginn that many will understand at all what this project is about but now I see that it is important enough as some cant wait and already read screenshots. For that I need to excuse myself that I did not work faster and you lost some time. You did not use SHA256/SH256 but instead no auth or SHA1. If so, then you need to remove the line with ta.key, noEncryption, BFCBC, AES-128-CBC_SHA1, AES-256-CBC_SHA1 are all without TLS, meaning you need to take ta.key out. If you don't use auth at all, ie. 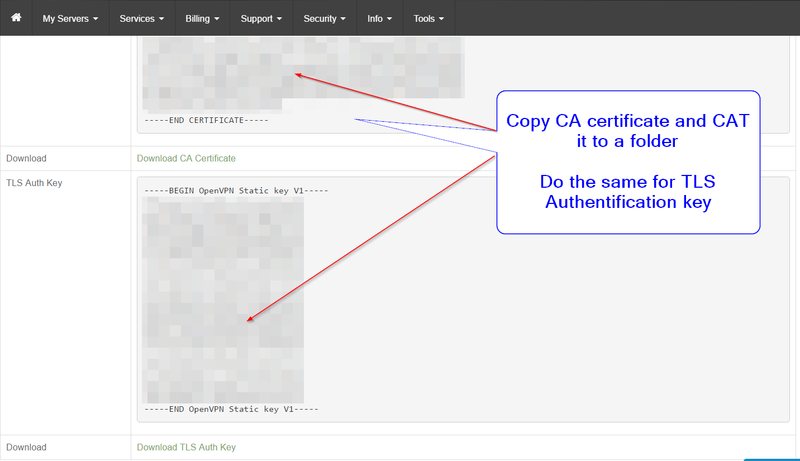 no encrpytion or BF-CBC, then you also need to take auth line out. 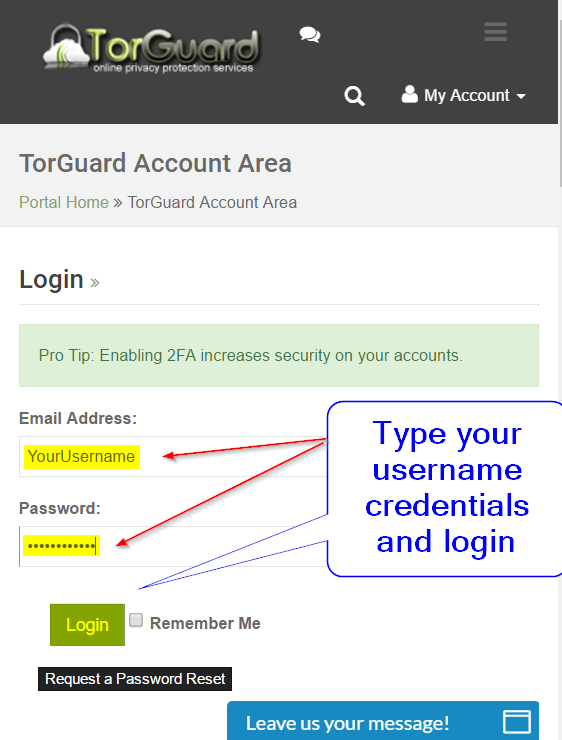 Remember, I am not working for TorGuard, naming was maybe not the best as it could misslead to think that it is official config from TorGuard, so this is a must for this thread, not meant as answer to you, will update OP when releasing first public version for testing. THESE SETTINGS ARE CONTRIBUTED BY USER, PLEASE USE THEM ON OWN DANGER AND NEITHER ME NOR TORGUARD IS RESPONSIBLE IF YOU BREAK SOMETHING. If you use WebIf and want be able to configure it through OpenVPN config (or TorGuards App which will be soon available. I see now this forum software does have a bug or some not perfect concept. If your router is properly configured, then you can surf at the same time with good speed. Already in this first stage of testing, openwrt performs really very well. I will not make any promotion in this thread by writting which devices I use/used, I dont want to slip this discussion away into some brand/modell specific discussion. After weeks, I can confirm that OpenWRT+OpenVPN does work much better than a software clients. So far, one of my routers is connected since weeks and even if WAN connection broke, TorGuard was always connected. I never got as near as good results with a software client on pc (only speed was a little bit better due to the difference of my router's cpu and my i7 on my desktop). 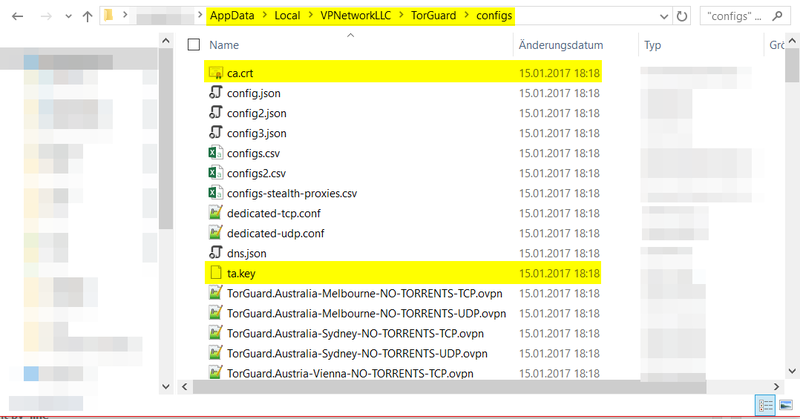 I've tested TorGuard and TorGuards client in many ways on different platforms, but these were main problems which I don't have if I run it on my router. There are much, much more advantages. All this is a part of this project. 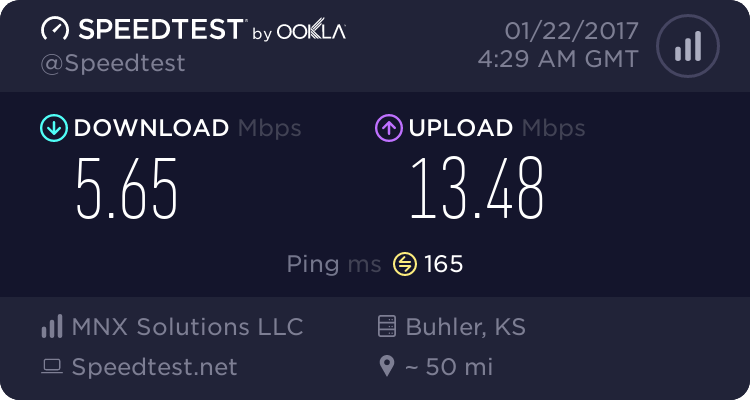 As for now, I can confirm that its working very stable and one location is now since almost a week connected and did not disconnect. No matter which scripts I wrote on my PC, I had more disconnects as first and sometimes pc just did not want to connect with crashing the client. Then I had always some issue on my phone, I start torguard client, everything works then after I did not do anything for 5-10 min, I look and torguard client is disconnected. It does not happen to me if I use openvpn client and connect directly to the closest location (which is mostly my home router) and from there everything works great. Again, here your router provides openvpn server which provides you abbility to connect to your home. 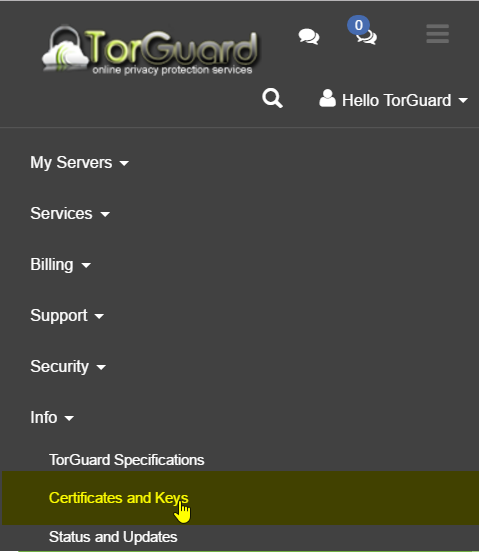 I think it is very important that TorGuard can offer a distribution (or community) which includes all these fine things which I wrote in this and other threads about. This topic is not simple, especially not to create nice GUI for setup which does fill need of so many possible setups which users could wish and then all that over multiwan , but multiwan is separate topic, I will talk about multiwan after everything else is finished and runs. If you finished everything, then multiwan and load balancing is just copy&paste part. Thank you 19807409! You're doing a great job! I have one more important question - now i have VPN running and connected, but i'm missing rules for router to push all traffic except local (192.168.x.x) via that VPN tunnel. Can you please post your 'network' and 'firewall' files content from /etc/config folder? And maybe anything else that i missed to make the thing work. I am glad it helped a little bit, but can you tell me which endsetup is your goal at all? where I assume that you created second lan interface with 192.168.2.x and you want it to ignore routes pulled and set it automaticly and use for all devices in that subnet. That's it. Hope it helps. How many connections do you want to establish at all and which hardware do you use? I am getting 16/10 if I use only one VPN on my router, 14/8 if I enable 2 of them, 12/6 if 3. More I did not test. However, there are different ways to setup your router. You could go also with simplicity which I would suggest and that's to use for every vpn instance one router, this way you achive best results for a little money. Ie, you get Archer C5 already ~$50, two of them are ~100 and so on. But then they also act as access points and not as routers. Simply, if I disable everything beside firewall and the rest, then I get even 20/12 with US IP which is actually almost the same which I get when I connect to a server less then 10km far away from me. Like I said , it would be easier to talk if we would knew what exact do you want to achieve. You are now good example for config creater, as TorGuadr or me in my app, we both could offer auto creation of these routes if you ie. mark checkbox "only for device" and choose ie. "lan2". So, the more people say what they exactly want to have, the better it can be replied. Exactly. I have a standard dual-router setup, first one cheap connects to ISP (192.168.1.1), and the second one is running LEDE (192.168.2.1), connected to LAN of the first (LAN->WAN). End-setup should look like this: all traffic that go "out" from the second router must go via VPN tunnel. No exceptions. Only local traffic to configure router admin zone should stay local. It shows that except creating VPN instance, i must define new interface and new firewall rule, to show the router how to operate the traffic. I have done everything similar to this, but eventually did something wrong (since LEDE have is a bit different GUI from OpenWRT, and article a bit old). That's why i'm asking here for file content and that settings. I have very small home network, just tired to run separate software on all devices. And about equipment and speeds: since commercial routers can't process encryption on hardware level, the best option for price \ speed \ sofware performance is provided for now by Linksys WRT routers, such as WRT1900ACS and WRT1200AC. I have that one is that matters. yes, this article shows you only how to connect to the service. 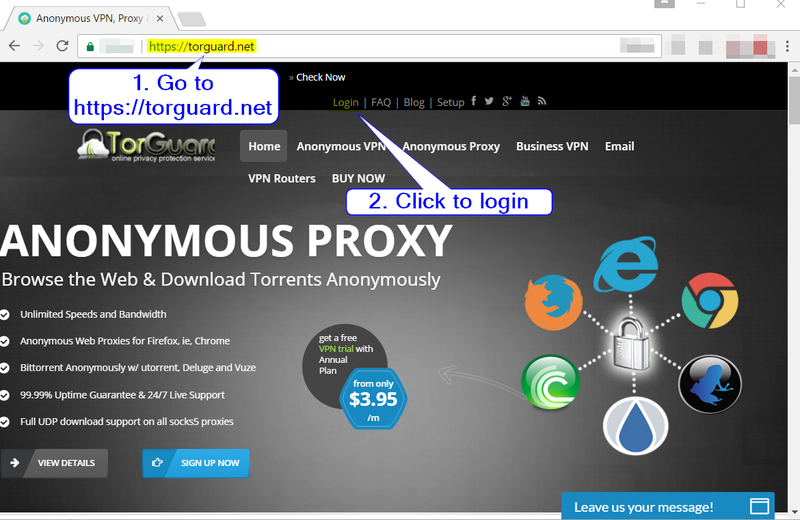 Not all vpn scenarios are available. I would maybe suggest you to use VLAN's with tagged ports. I mostly use separate interfaces an separate LAN's allowing them to communicate or with other subnets/clients. For that, yes, you need to override routes and set yours. Your first router acts as WAN, means, make WAN port to SWITCH port where all the firewall/dhcp and so on can be done on first router. Then setup OpenVPN like you did and create separate WLAN's for that. If your first Router has WLAN, then you are almost done, as now you have over WLAN access to all networks, simple isnt it? Next, you probably want to have a specific computer connected on LAN to get some specific address and that's easy with such setup. If your Router has 4 LAN ports (cheap one), then you could setup all LAN ports of your router to act as separate connection where you can split it by networks. Your setup is actually finished and it should work as you wanted, lets make it together work. Do you get connection at all and are your settings currently correct with one? For ie. price of one Linksys WRT1200 I can buy almost 3 Archer C5 . Lol, thats not comparable and even HW is better. Like I said before, some may also go for overpriced Asus Routers, for which I could buy 5-7 C5. I dont know about you , but 5-7 C5 has clearly more power, ram and bandwith available. I mean, even Mikrotik devices are cheaper than Linksys. WRT54g/gl, this was time of Linksys but not anymore even if I liked them really much. Did anybody try to open all spoilers of post 2 , it gets pretty long. I can't put step two into the spoiler, it ignores it. How deep can a spoiler go? And what are exact restrictions? Second Line box called "spoiler". Somehow it does not sound attractive, some may think its add for a car shop. It can be done in one line putting a name for the spoiler. I get mad because of this stupid cloudflare settings, I lost so much time cause I lost so many times text by logging in with firefox. Capthca does not work, even on disabled adblock, please fix it, it is very annoying. I dont want to use separate browser at all. @19807409, thanks, tried your example settings, but router was not responding after that till reset xD. my fault, i know very little in networking. anyway will try to follow your new instructions from second post step-by-step on the week without double-router setup, will let know if succeeded. I've posted how to create VLAN's and I created for you a screenshot showing how to do it in luci's web Interface.